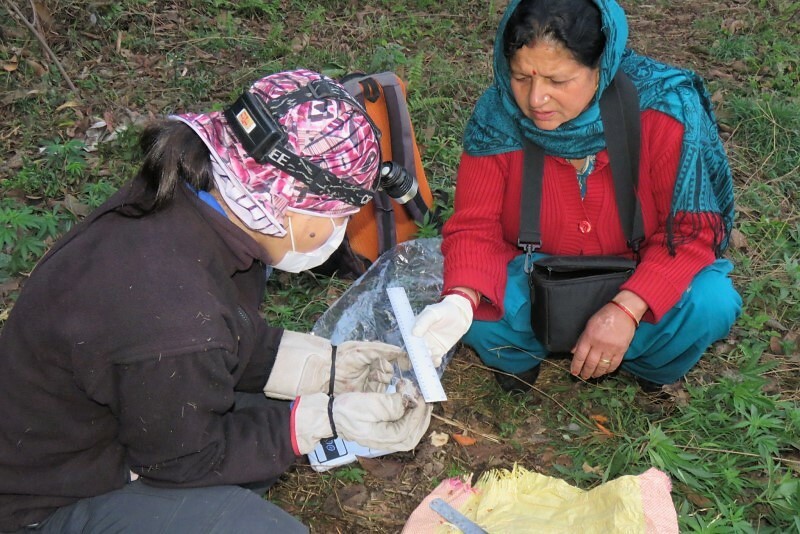 Nepalese biologist Sabita Gurung explains the story behind the picture which won our 'Capture your research' photo competition. In the picture, I am the person in a mask holding a mouse for its morphological measurement during the rodent survey 2018. The lady next to me, holding a ruler is my mother - my best company - throughout my project journey. The degree of support from my family and relatives was not the same when I first started the field-work for wildlife research a few years ago. A woman venturing into the jungle and remote places for wildlife survey is not easily approved in our society. My mother wasn’t convinced about my career in animal research and wildlife conservation. My parents were unsure if I would have any opportunity in this sector. However, things changed when my research endeavor drew attention of various institutions. My thesis research on Barn Owl received an EMEM-AVES award in 2014, and my paper presentation won the best place in "EGH Young Researcher Paper Competition" in 2016. In addition, I received the INASP AuthorAID grant to present my thesis research at Cambridge University, UK representing Nepal in 2018 which was my first participation in an international conference. I also received a Nagao Foundation award 2018 to independently lead my project on owl and rodent to the next level. At present, my parents are confident about the impact I could make in this sector. They also appreciate my research potential and are less anxious about my future career. Nowadays, my mother is my best company - my women power - in wildlife conservation journey. My family is always excited to accompany me in my every field and conservation events for wildlife research. My mother is more enthusiastic than me to note down which species of mouse has the longest tail! "Give a HOOT for nature conservation"